Billionaire investor George Soros, who successfully broke the Bank of England in 1992 with his currency bets, issued a dire warning about the Brexit today (Tuesday). George Soros said that a vote by Britain to leave the EU would cause the pound to collapse by 15% or even 20%. A currency crash like that would be even more disruptive than Black Wednesday 1992. The Black Wednesday crash occurred on Sept. 16, 1992. It's the name given to the day when the British government was forced to withdraw the pound from the European Exchange Rate Mechanism (ERM). The estimated loss to the UK Treasury and the Bank of England was 3.4 billion pounds (roughly $5 billion). Soros gained fame in 1992 with his Quantum Fund when he successfully wagered the sterling was overvalued against the Deutsche mark. That forced Prime Minister John Major to exit the ERM. Soros made $1 billion in profit on Sept. 16, 1992, cementing his reputation as one of the greatest currency traders ever. The date is also known as the day Soros broke the Bank of England. 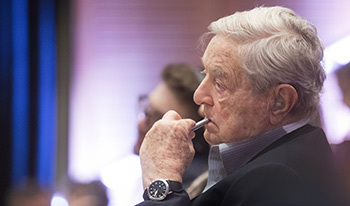 So that's why investors around the world are heeding the George Soros warning today. George Soros told the Guardian newspaper Tuesday that if Britain goes through with a Brexit, the pound wall fall by 15% minimum, and possibly more than 20%. That would take the pound down to $1.15. 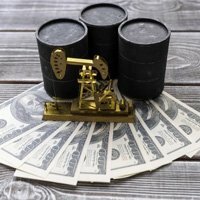 It currently sits at a $1.46. "The value of the pound would decline precipitously. It would also have an immediate and dramatic impact on financial markets, investment, prices, and jobs," Soros said in the Guardian. George Soros added that the Bank of England wouldn't lower rates after a Brexit. He also said there would be few monetary policy measures left to ease a recession or a fall in British house prices. The legendary trader also cited the "very large" current account deficit in the UK. George Soros said it's unlikely post-Brexit devaluation would improve manufacturing since trading conditions would be too uncertain to accept new investments or hire workers. A Brexit would also leave a giant question mark of the future of the UK and its $2.9 trillion economy. And speculators would be ready to exploit a British exit situation for profit, according to George Soros. "Brexit would make some people very rich – but most voters considerably poorer," George Soros said. The latest Brexit poll today from YouGov shows the "remain" camp has a slim two-point lead of 49% to 47% for "leave." While George Soros issued his stern warning today, he isn't the only expert chiming in on the situation. Gilani says that the European Central Bank, like every other global central bank, exists almost entirely on faith. Meanwhile, other banks cannot skirt by simply on faith. They must maintain convincing measures of their viability. These include things like capital requirements, reserve requirements, and liquidity ratios, among others. But central banks are not subject to these requirements. As a result, global central banks have bloated their balance sheets. Assets on the ECB's balance sheet currently total $3.5 trillion. The ECB is also committed to buying another $67 billion of assets, including European government sovereign bonds, corporate bonds, and junk bonds, every month for an undetermined amount of time. "The ECB's capital, against which its solvency and backstopping abilities might be measured, amounts to a paltry €10.83 billion, or about $12.2 billion," Gilani notes. "That means if the ECB were a 'real' bank with a balance sheet of $3.5 trillion and capital of just $12.2 billion, it would be leveraged to nightmare levels, almost 287:1." Gilani says that also means the ECB is insolvent by every measure ever used by any regulator to gauge the health of any bank. The UK is the third-largest contributor to the ECB. It has willingly committed to contributing 13.7643% of the ECB's $12.2 billion in capital. However, it has actually contributed zero. Should the UK vote for a Brexit, it will take its committed capital and every pound it was ever going to contribute with it. "Can you see the black swan spreading its wings yet?" Gilani asks.